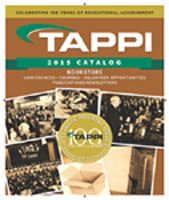 TAPPI's International Bioenergy and Bioproducts Conference brings together experts from around the world that are interested in leveraging the knowledge and assets in the pulp and paper industry to produce fuel, energy, and chemicals from biomass. IBBC's highly-focused program includes technical presentations, expert panels, case studies, and reports from projects that offer you a deeper analysis of technology and economics in commercializing biofineries. View the program details. IBBC is co-located with the TAPPI PEERS Conference, creating a full week of valuable education and learning on topics that apply directly to your job. Make the most of your experience by attending both conferences to enhance your knowledge, gain valuable insights for your company, and network with individuals who share your same day-to-day issues. Photos provided by compliments of American Process Inc.